For this Chinese New Year (CNY) issue, we spoke to a prominent businessman from the Chinese community in Brunei, Dato Jack Ting, the Managing Director of Cityneon Brunei. We asked him to tell us about how he celebrates the Lunar New Year; his view on the current economy; and to give his advice to people who are in the SME sector. Despite having a conversation centered on culture and tradition, we gained practical insights and sometimes, counter intuitive perspectives about business and life from Dato Ting. For example, unlike many Chinese business people who prefer to take breaks and leave the country during the CNY, Dato Ting encourages one to stay in Brunei during the CNY holiday. Like our Muslim friends’ Hari Raya Adilfitri Open House practices, Dato Ting believes in the value of opening up our homes to foster relationship as well as to catch up with family, friends and associates. On top of that, Dato Ting sees the festive season as the ideal opportunity to celebrate diversity and to unite different races together in harmony. And this all starts at home. Although Dato Ting is not inherently superstitious, he does respect and follow the traditions of not sweeping the floor and cleaning his clothes on the first day of the New Year. “After all, we will be too busy entertaining our guests all day and there will not be time for any laundry.” Laughs Dato Ting. 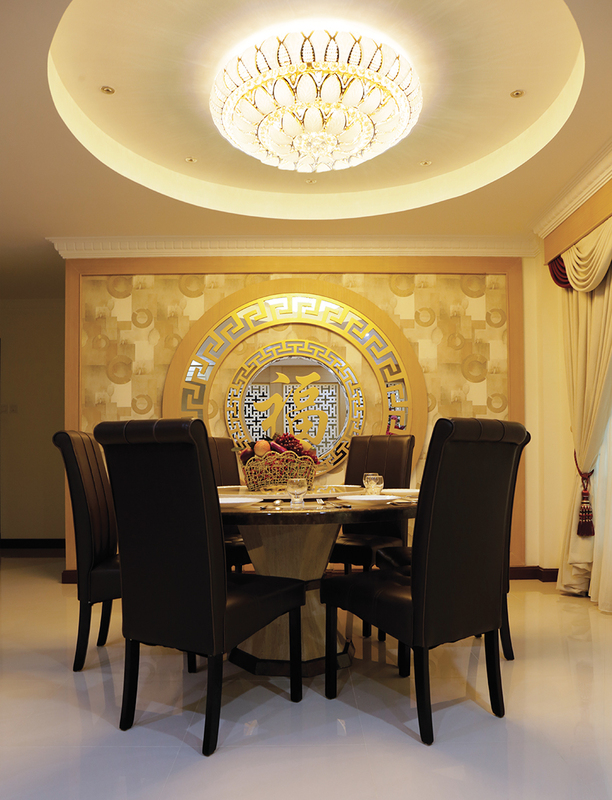 The Ting family normally opens up their home on the first day of CNY with the help of his wife, his wife’s family as well as his staff to welcome friends, relatives and business associates to their celebration. A self-made man renowned for his work ethic in the business community, Dato Ting’s business doesn’t stop operating during the New Year period, as the date often coincides with the busiest time of the year – preparation for National Day on the 23rd of February. While he allows himself to be a little more relaxed during the festive season, Dato Ting still visits his office to show moral support to the non-Chinese staff who are still at work. Dato Ting believes that despite the economic condition, there are still pockets of opportunities to be found everywhere. The key is to be a lot more proactive in seeking out these opportunities as nothing will be presented to you, if you don’t look for it. As a business owner, Dato Ting has weathered three major economic downturn cycles in the last three decades. Even though this particular cycle seems to be one of the toughest, the virtue of hard work and versatility in every situation is one that he holds on to – and hopes that other business people would do the same. As for his New Year resolution, Dato Ting’s tone became slightly more philosophical. He said that having good health and happiness with the family is of utmost importance, while everything else pales in comparison, even the state of the economy. Dato Ting would like to wish everyone happiness, prosperity and good health for Chinese New Year 2016! This article was published in the February 2016 issue of Inspire Living Magazine. Download it here!